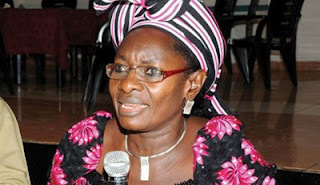 A former deputy governor of Plateau, Pauline Tallen, has said that she turned down her ambassadorial nomination in order to be fair to other parts of the state in terms of federal appointments. Mrs. Tallen, who is also a former Minister of Science and Technology and Labour Party governorship candidate in Plateau in 2011, made this known in Abuja on Monday. “I hail from the same local government and tribe with Gov. Simon Lalong. I turned down the nomination because of balancing of appointments, I don’t think it is right for me to accept the appointment,” she said. “Secondly, proper consultation was not done, my governor was not consulted because I called him when he was in United States of America to ask but he said that he was not aware. “For me, I was consulted and I turned down the appointment even before the announcement was made,” Mrs. Tallen said. She also cited her husband’s poor health. “My husband’s ill-health is another reason why I will not accept the appointment,” she said. Mrs. Tallen, who was nominated last week by President Muhammadu Buhari, alongside 45 others, said the president gave her another option and also assured her that Plateau would not miss its two slots. The former deputy governor, who appreciated the president for the honour, said that her name was not included on the list of nominees and was surprised when the announcement was made. Meanwhile Gov. Simon Lalong has described Mrs. Tallen’s decline as an exhibition of political maturity. “Plateau is always on the front-burner when it comes to politics, that shows her maturity not just in Plateau but as a national figure. “Once things are not done properly, it is better for a leader and a mother to come out and say that things are not done properly in the interest of the state. “When I heard the announcement I was very shocked because what happened was without proper consultation,” he told journalists in Abuja. The governor said his administration was working towards addressing the issue of balancing appointment. Mr. Lalong said the opposition was already saying that the appointments were lopsided. He appreciated Mrs. Tallen for her decision, and assured the people that their quota would be filled and he would go further to ensure that distinguished sons and daughters of Plateau get more appointments.